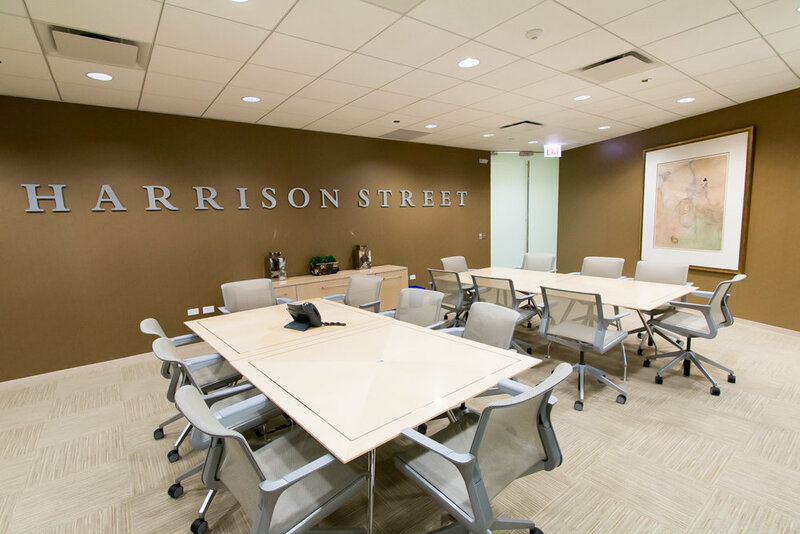 HSRE was an existing tenant, looking to expand throughout the remaining vacant space on the floor. 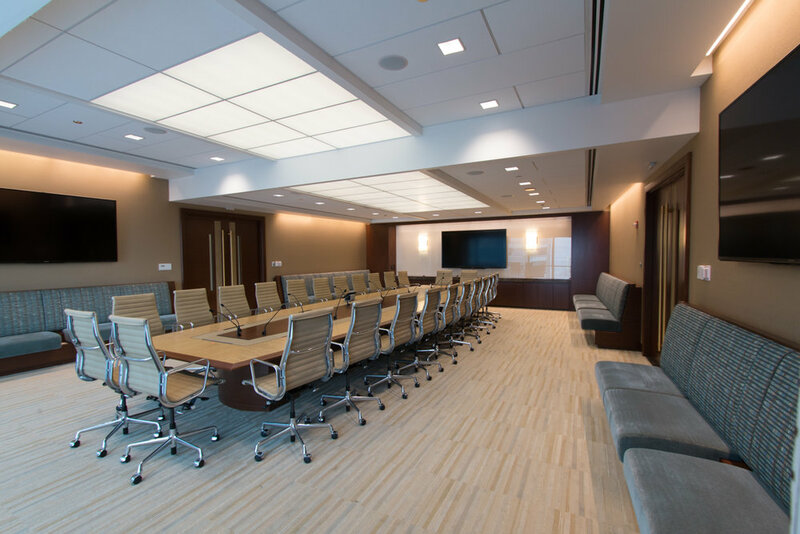 Programmatically, they needed to develop a large board room, along with additional meeting areas, private offices, and support staff work areas. 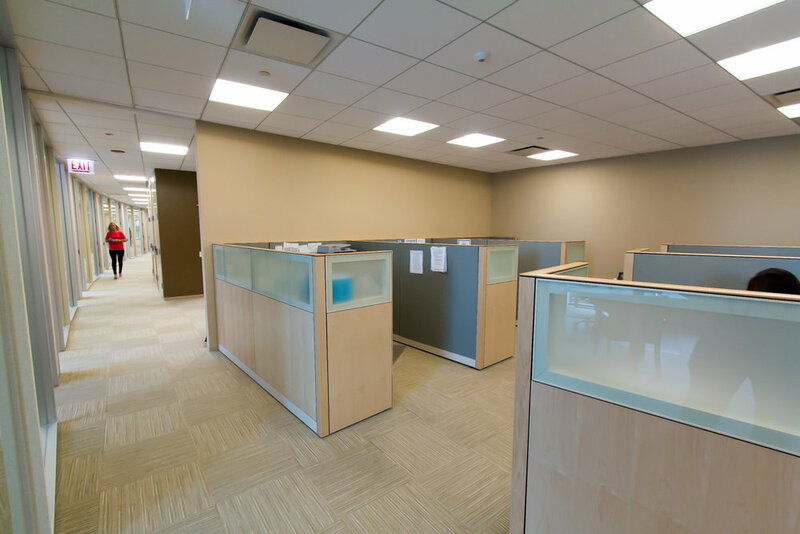 EWP developed a four phase process to allow them to work within their existing offices while remodeling and expanding. 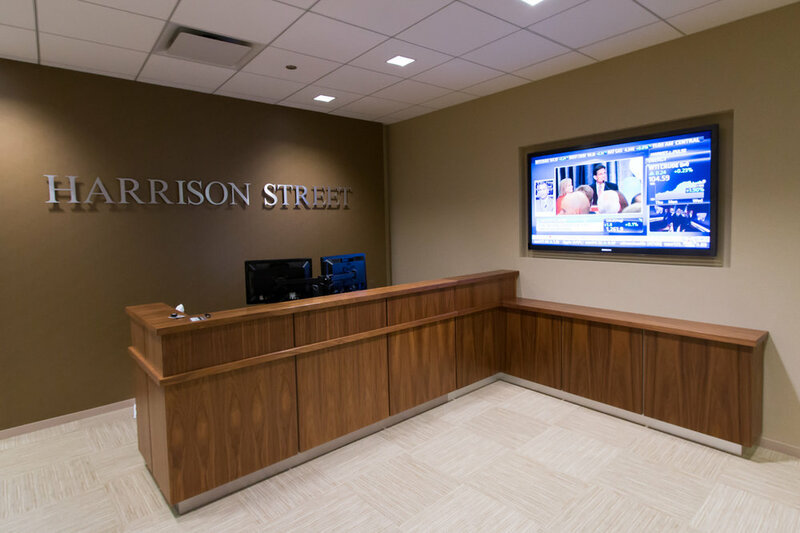 The entirety of their office is a custom solution: custom finishes on workstations and private office furnishings, a millwork board room table, luminous ceiling, inlaid doors, and banquettes.